Hurray! 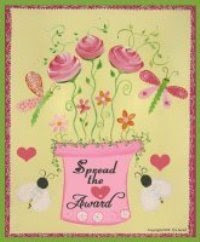 Got my 1st award here from "tsang" Sissy's Pastime. Thanks so much tsang for including my page on your lists of awards. Wow! feeling winning at FAMAS award. Lol! Anyway, this is really cool. Will be trying to build this lucky 3chies all over the world of blogging. Now i will pass this to my fellow addict blogmates. This entry was posted on 7:11 PM and is filed under Awards , Blogging Awards , Personal . You can follow any responses to this entry through the RSS 2.0 feed. You can leave a response, or trackback from your own site. I have recieved this award already and done post it..thanks anyway it highly appreciate!